What relationship did Elder have with Lt Benefiel? What relationship did Bill Elder have with Cecilia (Cipriano) Benefiel? 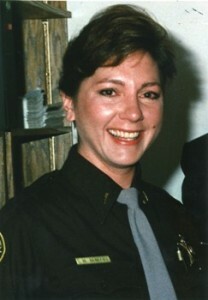 On Sunday, November 18, 1990 Lieutenant (Lt) Cecilia “C.C.” Benefiel was found by El Paso County Sheriff’s Office (EPSO) employees murdered in her house. According to the initial article in the Gazette (Read Article) she was found by Sgt Richard Hatch and Lt. Don Kessler. Because the murder was committed within the Colorado Springs city limits the investigation would be the responsibility of the Colorado Springs Police Department (CSPD). Unfortunately there is more to this story than the Gazette article tells you. We received information concerning this unsolved homicide from individuals who worked at EPSO at the time of the murder and others close to CSPD that revealed a little different perspective on the case. To be clear, we do not have any new evidence as to who committed the crime; however, we did receive information that might shed some light on the crime and how the crime scene might have been altered or tampered. Information was received about Bill Elder concerning Benefiel’s murder. At first we were skeptical because the allegations were pretty incredible, but we continued to receive information from multiple sources so we decided to look into in. After our research and talking with multiple sources we could no longer ignore this information and reluctantly decided to publish a story. The initial tip received from a source within EPSO was that Bill Elder discovered the body and was there for an extended period of time before CSPD was notified of the murder. We also received, from sources who worked for EPSO at the time; that Lt. Bill Elder and Sergeant Gary Brown had or were having affairs with Lt. Benefiel. If true, is it concerning that Bill Elder might have been inside the crime scene for hours? What was he doing all this time and why did it take so long to notify CSPD of the homicide? We attempted to confirm these allegations and found multiple articles in the Gazette, Colorado Springs Independent and the Denver post. One confirmed Bill Elder was there when Benefiel’s body was discovered. (Read Article). We confirmed with a source that Bill Elder did, or attempted to have, an affair with Benefiel. Some were concerned when they heard Elder found the body and was there a “significant” amount of time before CSPD arrived on scene. One source, who worked for EPSO at the time, told us it might have been up to 2 hours. Some suggested Elder or others might have tampered with evidence during this time. One rumor was that both Bill Elder and Richard Hatch wanted to have a relationship with Lt. Benefiel, but they were spurned by her. Interesting that both of them were there when the body was found? We confirmed with a source, who told us Richard Hatch told them he had feelings for Lt. Benefiel but she did not feel the same towards him. Hatch admitted he found the body and was in the residence for a while prior to CSPD arriving. Hatch also admitted years later that the murder still “bothered” him and he couldn’t get it off his mind. It is interesting that articles reference the house as being “ransacked” but it appeared nothing was taken? (Read Article) One source close to the investigation stated CSPD investigators thought the house looked “Staged” and they did not think it was a robbery, but rather she was killed by someone she knew. (Read Article). “Investigators believe she knew her killer. She was sitting at her dining room table when she was shot, her .357-caliber service revolver secured in its holster around her waist.” Also in this article, Deputy Chief Paul Ricks with CSPD was noted as saying they were investigating several people to include; “a few in uniform”. According to an article in the Gazette (Read Article) Homicide Sgt Ray LeChapelle stated the following: “We are certain that it was not a burglary” … “We know the suspect has been in recent time, or in the past, very close to her.” This statement clearly suggests the murderer could have been someone who was currently, or had been, in a relationship with Lt. Benefiel. If you continue to read the article it states; “The next day, sheriff’s officials again tried to call her. By 5 p.m., sheriff’s Sgt. Richard Hatch went to her home, where he found three days of newspapers in the driveway. He entered through an unlocked rear door and found her body in the dining area. He quickly called his supervisors, who notified police.” According to our sources, CSPD was not immediately notified of the homicide and multiple individuals to include Bill Elder were present at the crime scene for an extended period of time. Notice the wording of the article; “… He quickly called his supervisors, who notified police“. 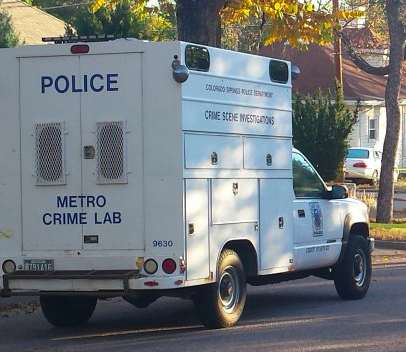 They did not call CSPD when they found the body; they called EPSO supervisors. Who specifically did they call? Who actually notified CSPD and when? Why didn’t they call CSPD immediately to secure the scene? These are highly trained supervisors yet they did not follow standard procedures in securing a crime scene; why? One source told us Bill Elder was with Sgt Hatch and they found the body together. They explained that Elder was in patrol at the time and Hatch was in Investigations. It would have made more sense to send a patrol supervisor to check on her. Could it be Elder was asked to go check on her, but for some reason he did not want to go alone so he asked his good friend Sgt Hatch to go with him? The initial article says employees; “forced entry into her home”. But a later article says they; “entered through an unlocked rear door”. Another article says “open door”. Is it possible one of them had a key but did not want to admit it to CSPD? So was their initial story they “forced entry”; but when there was no evidence to support that they changed their story to an unlocked or open back door? Will we ever know what really happened? Is it possible Benefiel ended her relationship (or refused to have one) with Bill Elder and he went over to her house that night to talk with her? Her divorce was going to be final in a few days. Could it be Elder thought they were going to be together and she told him otherwise? Is it possible? Should it at least be investigated? In a homicide investigation shouldn’t you eliminate all possible leads? Many believe Benefiel’s soon to be ex-husband was the most likely suspect. We do not disagree; but it appears there are other possible leads that should be investigated. CSPD did receive leads pointing to other suspects. In 2010; 20 years after the homicide, Sgt. Jensen with CSPD said; “leads have been received in the past few months that point to other possible suspects…” (Read story) According to a source, in 1998 the District Attorney’s (DA) office looked into those who found the body and determined they were not involved. Did they know about Elder’s alleged relationship with Benefiel? Did Bill Elder or the others take polygraphs? Some believe Benefiel was murdered by a female because she was shot in the face with a .22 caliber gun. Were the spouses of the individuals who were suspected of having relationships with Benefiel investigated? Could they be involved? We have heard all about the public arguments Bill Elder had with his spouse after the murder. What were these arguments about? These are all questions that need to be answered. Unfortunately, because it appears CSPD did not investigate all possible suspects back in 1990 evidence might have been lost. If CSPD had executed search warrants on Bill Elder’s house and vehicles (to include his police car) what would they have found? Did Elder withhold or destroy evidence? Did he have the opportunity? What was Elder doing all that time in Benefiel’s house? How convenient Elder was in the residence for an extended period of time. If his fingerprints or DNA were found at the crime scene he could use the excuse that it was because he was there when the body was found. Has the evidence been retested for DNA? There has been major advancements in DNA extraction since 1990. Did CSPD seriously investigate the possibility Benefiel was murdered by a co-worker? How many interviews were completed with deputies to determine if she was in any relationships? Many of the individuals who worked for EPSO are still in the area and could be interviewed. If Bill Elder and Richard Hatch have nothing to hide they should be re-interviewed, voluntarily submit to polygraph examinations and answer all questions about the homicide. CSPD should re-interview everyone to determine if their stories still match. We are not saying Bill Elder or Richard Hatch were involved in the murder of Lt. Benefiel; just that there are many questions they need to answer. They were trained law enforcement officers with years of experience, they knew they needed to contact CSPD immediately. Why did it take so long and what were they doing during that time? It’s hard to understand or justify any delay in notifying the appropriate agency of a homicide. Would it be suspicious if an individual found the body of their girlfriend or close friend and waited 15-30 minutes before calling the police? Multiple sources have told us Bill Elder has stated he will never take a polygraph; why? NOTE: We have been working on this article for weeks and have interviewed many sources to include one who said they received their information directly from Richard Hatch. It was not our goal to diminish the reputation or memory of Lt Benefiel; only to bring light to the truth. Everyone we interviewed spoke highly of Lt. Benefiel and we hope by some miracle this article might help solve her murder. She deserves justice.